We're still in full bug-squashing mode for X-Plane 11.30. We have four more of the 11.30 improvements to show you this month. 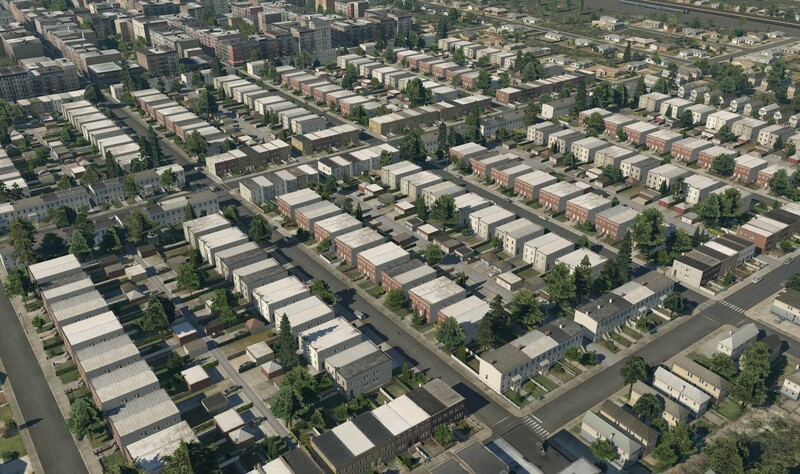 X-Plane 11.30 includes new auto-generated scenery for high rise buildings, industrial buildings, and street level clutter in the United States. Check out the article for before & after comparisons! New and more powerful particle effects are included in this update! It creates creates smoke, fire, mist and other ephemeral effects in the sim. The default aircraft have all been updated so you'll see new effects with contrails, heat blur, and wing tip trails. 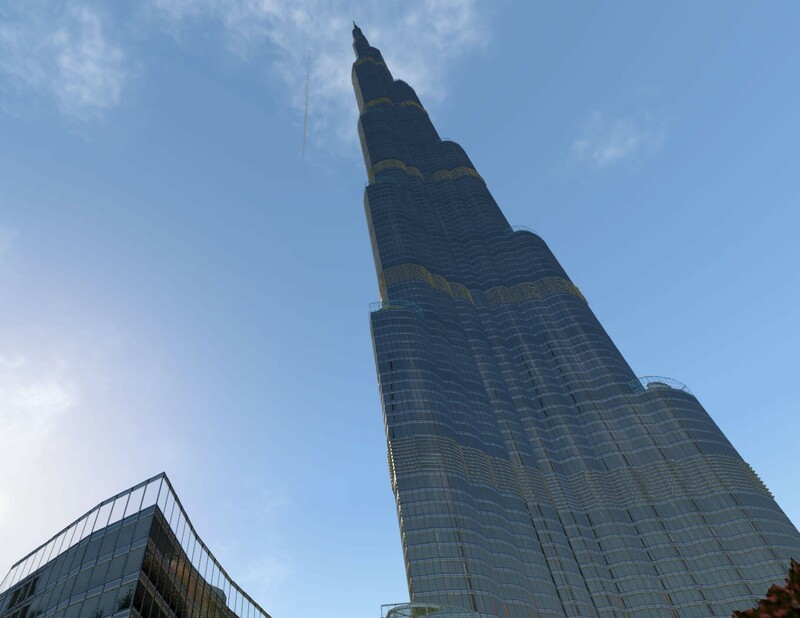 This update includes a new set of landmarks for the city of Dubai in the United Arab Emirates. The tallest building in the world, the Burj Khalifa, is located here. 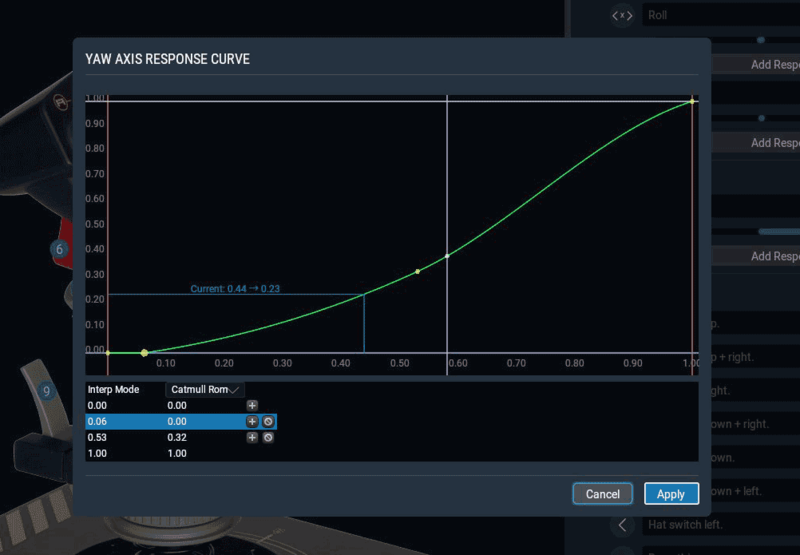 X-Plane 11.30 includes two new UI features: joystick curves and large text. The new joystick curves allow you to set custom curves on anyaxis type, and the larger text options make text easier to read on high resolution monitors. This month brought six amazing new add ons for us to feature! 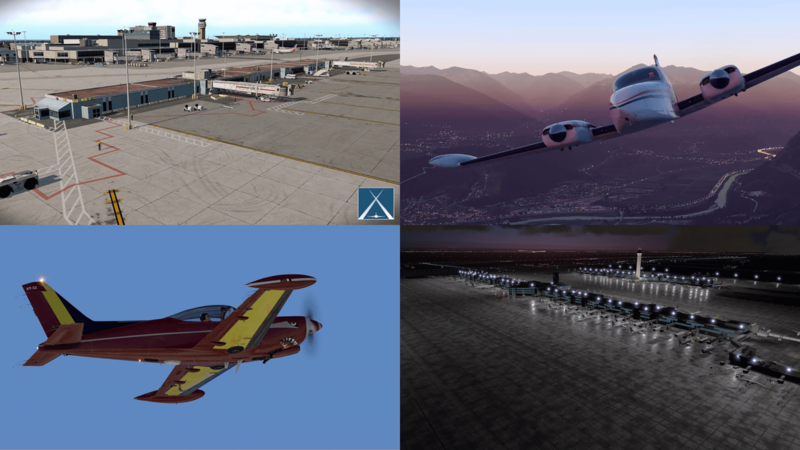 We have three scenery packs, two aircraft, and hardware to use with X-Plane. 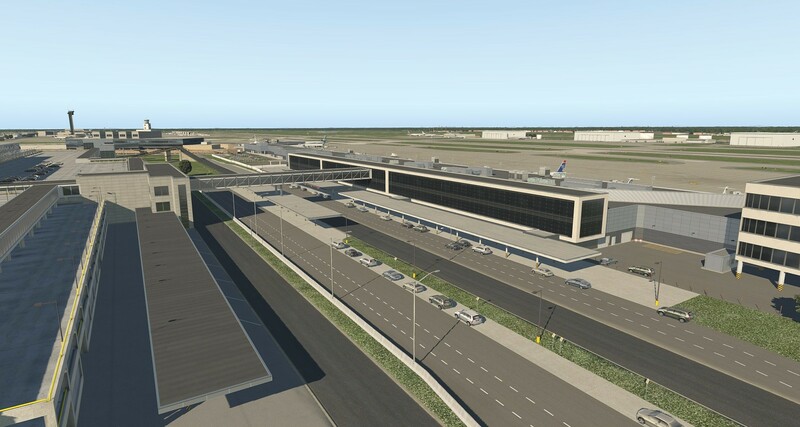 Last month saw the submission of an outstanding Detroit Metro Wayne County (KDTW) airport by artist Pconlan. I just received X-Plane11 as a gift from some nice folks I did some scenery for. I have to say, I'm impressed with what I've seen so far. It's taking a bit of time to get acclimated to the differences as far as programming my joystick and CH Throttle, but I have the basics working and the rest will follow I'm sure. I'm all about eye-candy and there's a lot of that to enjoy. I was amazed at the highway setup, overhead signs on major freeways, highway lights, traffic that doesn't just stop suddenly and then pick up somewhere else. Elevated highways where traffic is actually on them and not driving right through an on ramp and remaining on the lower level. lol. Trains? Real trains of various types on railroad tracks. . .homes that look like homes and not blurry boxes. I am definitely enjoying this latest version!! It's pretty good isn't it. I'm still on 11.26, and I only installed X-Plane for the first time a couple of months ago. The trains are awesome. I really like the way ground textures don't seem to suffer from blurries at all. Everything seems to remain crisp. Building textures also seem to load better than FSX and P3D. I really like the sloped runways too. I won't be leaving the ESP sims behind any time soon, but I am very impressed with XP11. The first time I hand flew the default 737 was an experience too. I love the flight dynamics. "Try to stay in the middle of the air. Do not go near the edges of it. The edges of the air can be recognized by the appearance of ground, buildings, sea, trees and interstellar space. It is much more difficult to fly there". Make sure you set an axis or a couple buttons for aileron trim Ed.. It'll save you a lot of headaches in a cross wind..
My Video Resume from over the years: https://www.youtube.com/user/urushira/videos? Glad to see you on here Ed. Yes, XP11 is a very different 64 bit flightsim and now so much easier to use. I am also in love with the eye-candy. Now with all the free HD Scenery is really is AMAZING! lol, Funny you would mention that Pam. . .I had that very experience while flying this morning. HEHEH,, Glad it helped. When i first started flying XPlane, it drove me nuts. first the plane banked one direction then the other as the wind changed headings. It made flying a white knuckled pain. I think it probably catches most FSX users off guard like that. X-Plane can do out of the box what FSX and P3D need FSUIPC to do which is really cool. I do not have X-Plane, I've been a hold out with FSX. I am considering building a computer that will feature 64 bit Windows 10 and be a fully modern computer (by current standards). When I do that, I'll be looking for a 64 bit flight sim. Flight Sim World died before it was anywhere near fully developed. I've considered P3D, but it seems significant version updates break a lot of add-on compatibility and updates are not always free. 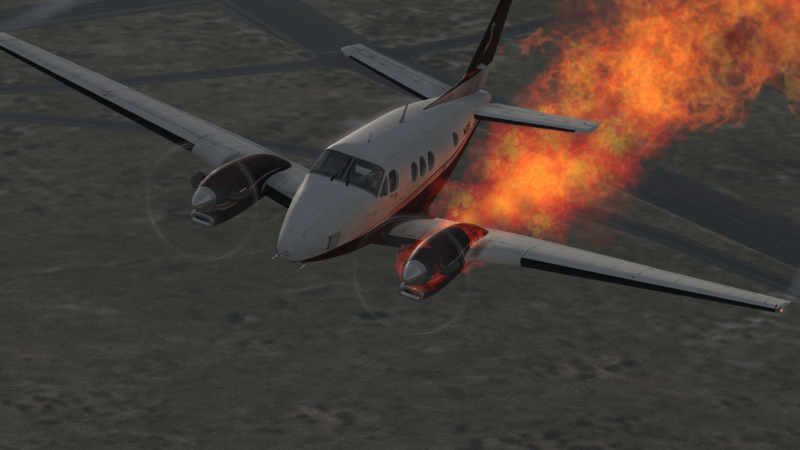 X-Plane is starting to look quite interesting... except for that one picture. I don't know what you did, but I'd say you did it wrong and that flight is not going to end well. I'll be keeping an eye on X-Plane. I'm so deep down the rabbit hole by now that I'm learning advanced level LUA tricks, although I've sworn to keep on the consumer side when I bought XP. Have touched FSX exactly once since then, unfinished projects and time spent on it be damned. I posted this in the forums over at X-Plane but the Admins haven't cleared it to be viewed yet. Does anyone know how to adjust the pilots "eyepoint"? In FSX it's done in the acft config, but X-Plane doesn't seem to have a dedicated cfg file like that. I think you can do that with "Plane Maker.exe", its in the main X-Plane folder. Wow, that's almost too much information, lol. That's an amazing tool. Thanks for the HU! Yes it is done at plane-maker and plane maker contains tons of great potential! For every aircraft, I have an improved eyepoint view hotlinked to the zero key on the numpad. Much better than having to do all the trial & error stuff in PlaneMaker. I have been using the four arrow keys on my keyboard to do this, especially in VR when you have to tweak it most times. To everybody who doesn't know: CTRL + [a number key on the numpad] saves the current view to that key. Pressing the key moves the camera to the saved position, pressing it again will move it to the previous position. Views are saved per airplane and stored in the [acf name]_prefs.txt file in the aircraft folder (so keep a backup, just in case). Very useful for setting up all kinds of internal and external views and basically makes 2D panels superfluous. Found one thing that I don't care for with X-Plane. . .the end result is my fault, but X-Plane requires that you activate any payware airplane. So I use the Key code to install the airplane, then if I want to actually. . .you know. . .fly it, then I have to activate it again before it's usable. The parts that's my fault is that I needed a Plugin to make a tablet functional in an airplane I downloaded and installed. Got it unzipped and placed it in the Plugins folder and loaded the airplane. Everything was working fine but I had to leave for awhile so I shut X-Plane down. When I loaded it up again a little while ago, I get a screen that says I have to activate X-Plane after installing a new plugin so I have to go get my Activation key that they sent to my e-mail. . .except I can't find it. Looked in every folder. . .even the one for X-Plane that I set up to hold all correspondence. . .nothing. Apparently, during one of my sleep-deprived moments I deleted some emails that included everything I got from X-Plane. . .cause it's all gone. The only record I have is what transpired through PayPal. . .so I sent an email to X-plane explaining what happened and gave them everything I have on the PayPal account. I am hoping it's enough because if it's not, I spent $60 bucks and got to enjoy X-Plane for 2 days. . .hardly worth the price of admission. If I could suggest anything be changed with X-Plane it would be the constant need to activate and re-acativate ever time you install something. "For lost, disabled, or stolen digital download product keys purchased from this site, please e-mail keyrecovery@x-plane.com." Yes, already done that thanks. As far as I know, XP11 does its product key checking randomly. I think I've only encountered it when running XP from an unknown device for the first time. And I switch between desktop and laptop PC (and install and uninstall stuff) fairly often. Received my replacement key this afternoon. When I typed in the code it made it sound like this was the first time it had ever been activated, when I had already activated it 2 days prior. Glad I'm back up and running but the need to activate again is just something I don't understand.